A day wasted on Twitter. Walt as Mr. White. Of course. I have an idea who the two guys are walking behind us, but I’d rather not say. 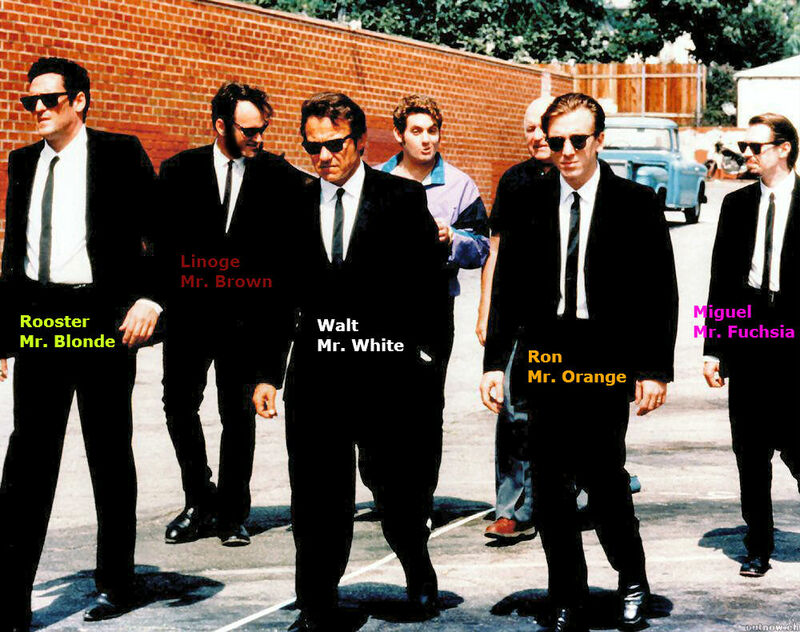 I don’t recall Quentin Tarantino having Mutton Chops in Reservoir Dogs. Did you add those in for Linoge? I laughed out loud when I saw that…. good stuff. Caught that, did you? I played around with the reverse Mohawk, too. Maybe later.